Rafal is a village in the heart of the Vega Baja del Segura located in the province of Alicante in, Spain. It is surrounded by orange groves laced with canals, irrigation channels and ditches. Rafal was originally called Rahal by the Moors, until the 13th century after the Christian reconquest that it was renamed Rafal. As a result of land distribution after the Reconquest of Orihuela by Alfonso X in 1243, the founders Arab Al-Wazir Rahal were evicted and the property was repopulated in July 1266 by 42 Christian families. 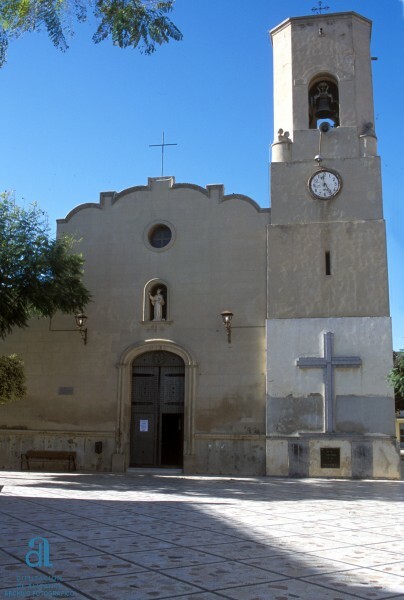 The influence of the first Marquis of Rafal was instrumental in the history of the town as under his lordship Rafa was municipally managed independent of Orihuela and undertook the construction of the church of Rafal, dedicated to Our Lady of the Rosary, which became a parish in 1640 through the mediation of Bishop Juan Garcia Artes. In 1830, according to the census of the government of Orihuela, Rafal had 111 residents, many of whom lived in barracks, the typical humble and construction that would last until mid-twentieth century. At that time the main crops were wheat, barley, corn, alfalfa, olive, orange, mulberry, flax and hemp. The Church of Our Lady of the Rosary which was built in 1640 by the Marquis de Rafal and mediation of Bishop Juan Garcia Artes still remain today and is located in the Plaza. Rafal has a great passion for music and the town boasts not only a musical academy but also a purpose built auditorium which is part of the Town Hall building constructed in 1999. Rafal is a pretty town, and has all the amenities you would expect in a small town - shops, banks, bars and restaurants which sit side by side with the older Spanish style houses and the new buildings. Rafal is a very accessible town, situated between the capitals of Alicante and Murcia provinces. Rafal is 40 minutes from Alicante and Murcia's San Javier airports. Rafal is a carefree and well urbanized town, there are gardens and green spaces. See below to view a selection of our bargain properties in Rafal.